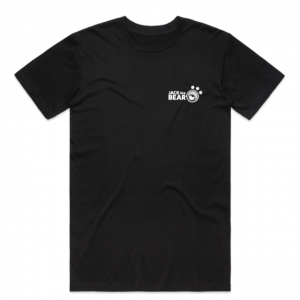 We now have Jack the Bear Tees in stock with the “SORRY I’M LATE….I DIDN’T WANT TO BE HERE” text and the Jack the Bear paw logo on the left sleeve” We only use American Apparel 100% cotton garments, which have a lovely texture & feel that will last for years and keep their shape wash after wash.
Sizes range from XS through to XXXL and come in black. 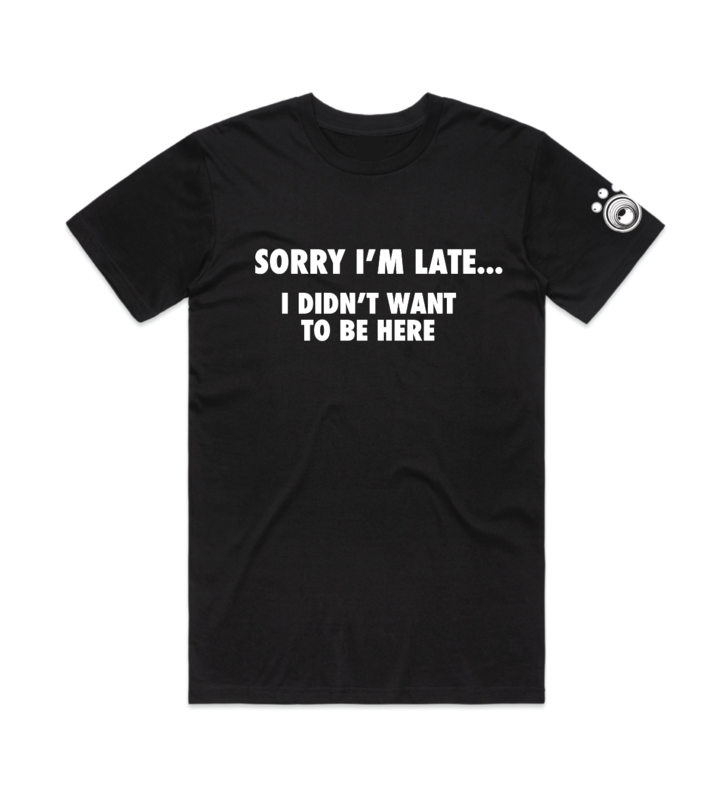 They are $29.90 GST inc. Shipping within Australia is an additional $10.00 for postage. International customers please add an additional $20.00 for shipping.